Thank you for supporting the training of young artists with your patronage! An affordable night out on our beautiful campus. Subscription tickets to our 19/20 season will be available in late April! The easiest way to purchase tickets is by visiting our virtual box office. Here, you'll see events listed in chronological order. We are happy to assist you! You may email the box office at AnnieBoxOffice@rollins.edu or call 407-646-2145. 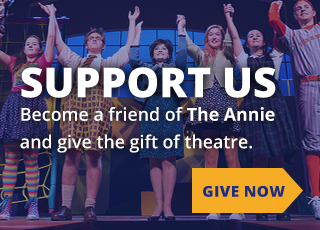 There are many ways to purchase tickets for the Annie Russell Theatre! Call the box office at 407-646-2145. We are open on weekdays from 1pm to 5pm. While in production, we are open from 1pm to curtain. If a representative is not available, please leave a message and we will be in touch within 24 hours. Visit the box office window, directly to the left of the main doors of the theatre. We are open between 1pm and 5pm on weekdays. While in production, we are open each day from 1pm to curtain. Please note that we cannot accept American Express. If you are looking to take advantage of our student, senior, or alumni discount, please call and we will be happy to assist you! When you make a purchase through the Rollins box office, we treat your financial information with the utmost respect. Please review our credit card protection policy. There are to be no refunds or exchanges on tickets from a past performance as we’ve lost the opportunity to sell your seat to another patron. For special circumstances, please contact Box Office Manager, Chelsea Hilend, at 407-646-2253. If you contact the box office at least two hours before the performance begins, we are happy to make exchanges or issue a full refund. A 20 percent discount off single ticket prices. First choice of seats for the season. "Annie Elite Passport," with coupons for shops, restaurants, and spas in our neighborhood. Reserved seating for the student-produced Second Stage Series, by request. Subscriptions for our 19/20 season will be available in late April! How many tickets do I get as a member of the Rollins community? 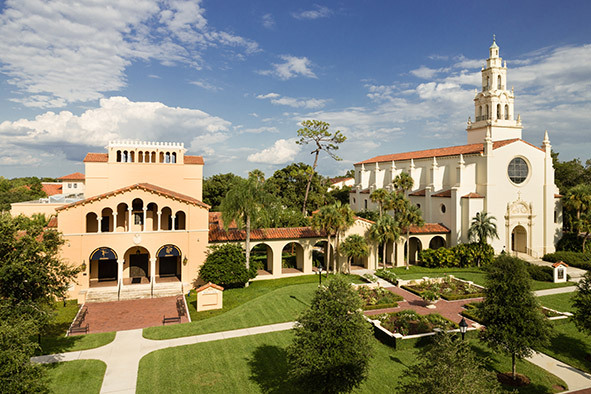 Rollins faculty and staff receive two free tickets to any Annie Russell Theatre production. Each Rollins student (undergraduate or graduate programs) receive one free ticket. 2) If you are a faculty or staff member, please include your department and the number of tickets you'd like to reserve. 3) If you are a student, please let us know if you'd like to sit with other students. If so, please include their name(s) and R-Card number(s) as well. All complimentary tickets must be picked up at least ten minutes prior to curtain on the day of the performance. Please bring your R-Card to the performance. If we don't see you at least ten minutes prior to the start of the show, the box office staff reserve the right to release your seats to other patrons.